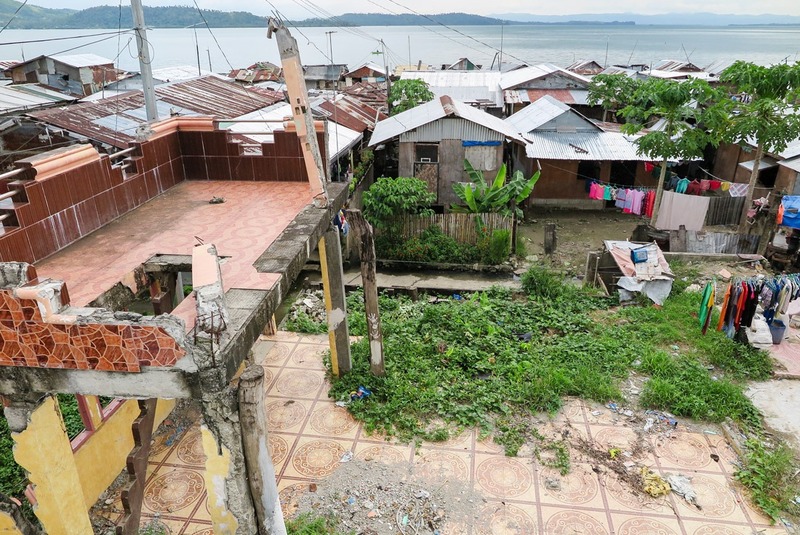 The people in Leyte are more resilient than most places. They’ve survived one of the worst tropical storms in the history, which left their homes in tatters and claimed the lives of beloved family members. Still, they recovered, proudly rebuilt their homes and are looking towards future with hope. 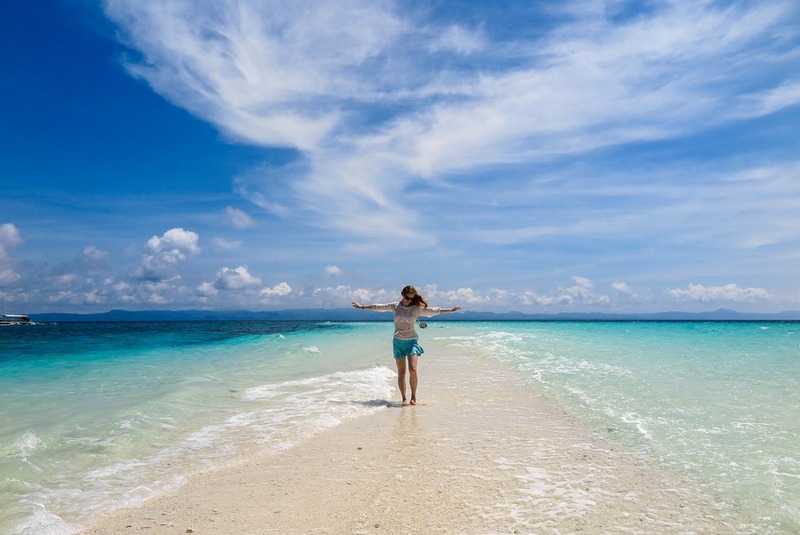 Welcome to Leyte, a Filipino island truly off the beaten path, nestled in the Eastern Visayas Region, Leyte province. Despite having been quite important in the country’s history, it mostly remains unnoticed by mass tourism. Cruise ships stop on a pristine island nearby, and otherwise continue to more ‘desired’ locations. Off the Philippines’ 7507 islands (or is it more already?? 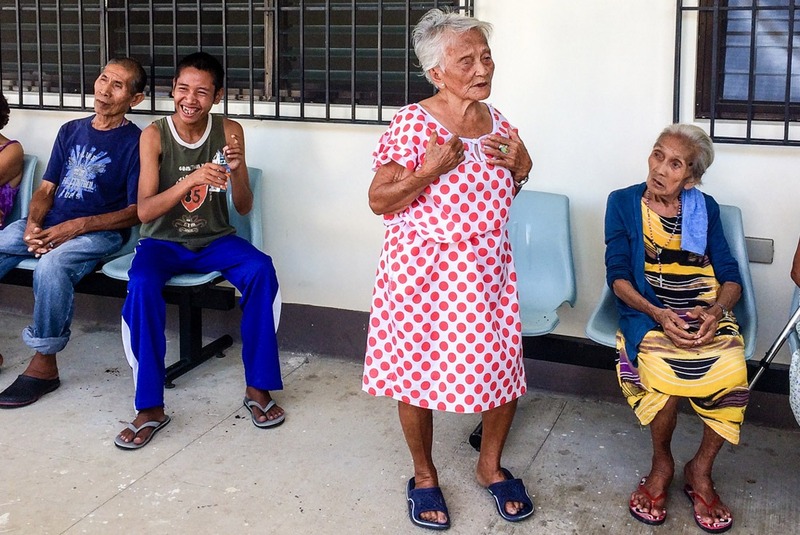 ), Leyte truly sticks out not just because of its tragic history but also the beauty of people who have overcome tragedy and still retain a positive outlook on life. There are often typhoons and tropical storms all around the Philippines and people have mostly gotten used to them. So it’s no wonder that when Haiyan typhoon hit, many thought it was just one of many storms that pass and go. However, this one was different. Haiyan, known as Yolanda in the Philippines, hit on November 8, 2013 with brutal force. This tropical cyclone became the strongest to actually hit land. Imagine a wall of water 5 – 8 meters high. In the Philippines, it killed around 6,300 people, most of them in the island of Leyte. I had the chance of spending a few days with a local guide who’s been deeply involved in the rebuilding efforts and documentation of the progress. 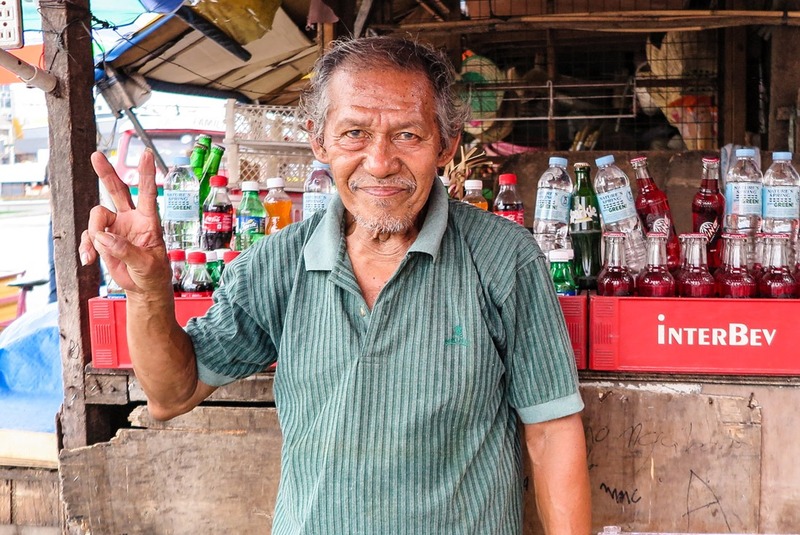 Meet Butz, whose home was left mostly intact, but whose heart has been scarred forever. Just like of his fellow Leytians. 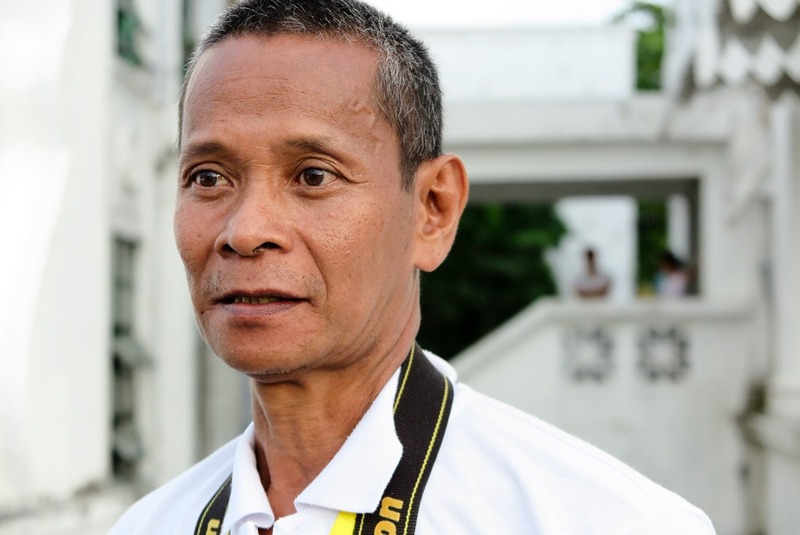 Meet Butz, Tacloban native and a local tour guide / volunteer / photographer / poet who called it quits to a corporate career a few years back. Tragedies like that remind us that nature has the ultimate power over us. 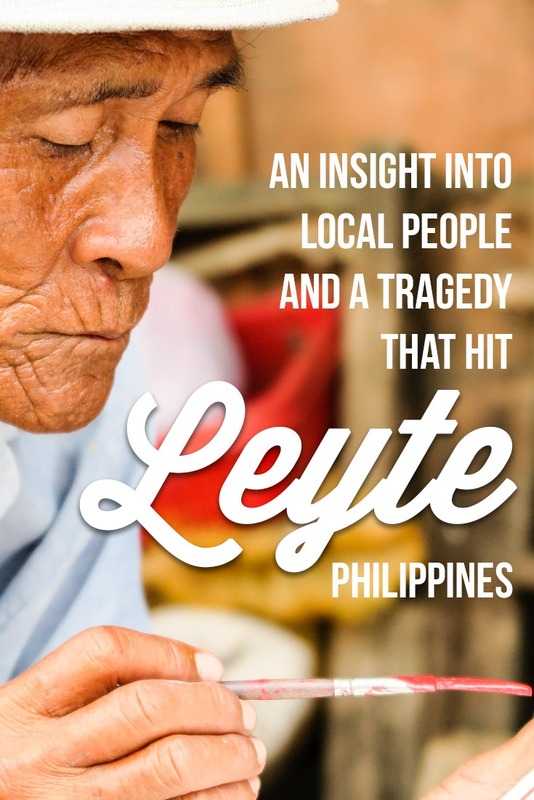 But Leyte has risen from ashes and is today standing strong. You can still see remnants of the disaster, but that shouldn’t stop you from visiting this beautiful spot on Earth. Plus, tourism is one of the major factors to drive growth of the area and help rebuild it, so you can feel good about helping just by visiting. 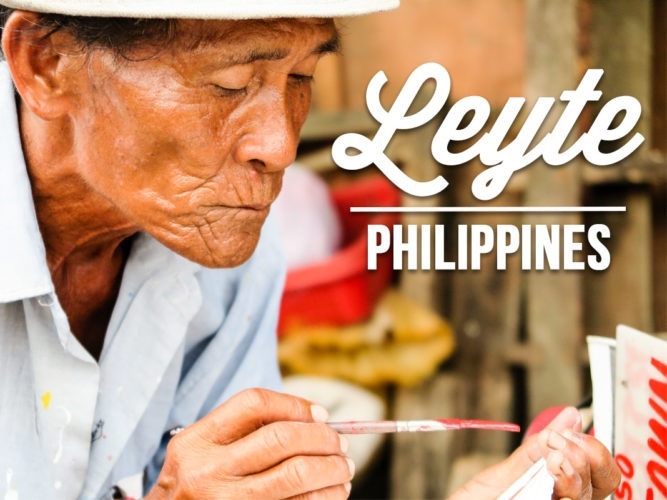 Learn about Leyte and the Philippines from a Lonely Planet guidebook. See it here. 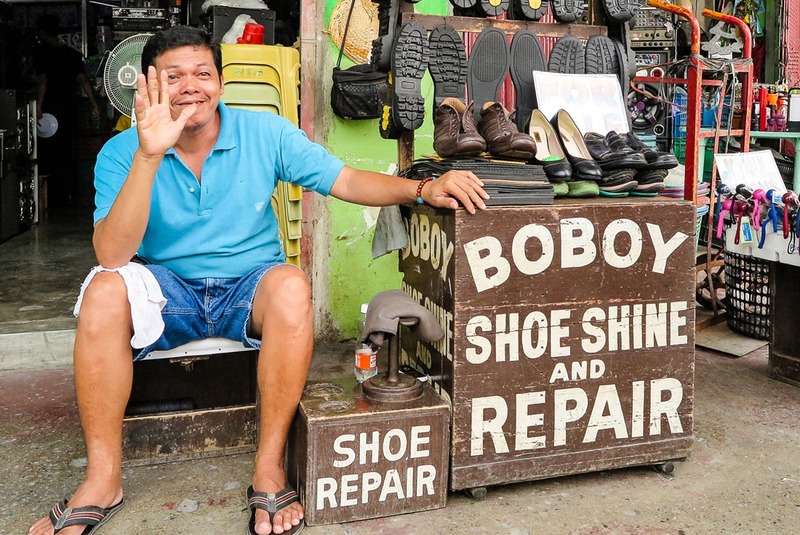 Tacloban is the capital city of the province and it’s undeniably the best base for exploring the surroundings. There are several hotels to choose from and most areas are well reconstructed. You’ll find everything you might need, such as traditional and hip restaurants, lively markets and incredibly friendly locals. The elegant Capitol building, built in the neoclassical architecture style in 1916-65, is the seat of the regional government. 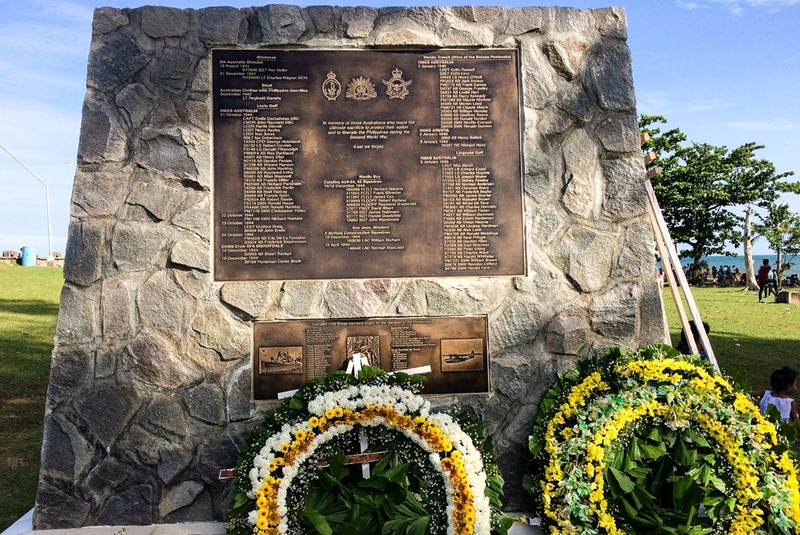 Leyte was the first island to be liberated from the Japanese during WW2. The Philippine Commonwealth Government had its seat here from 1944 to 1945. After that, Manilla became liberated as well and so the government moved there. 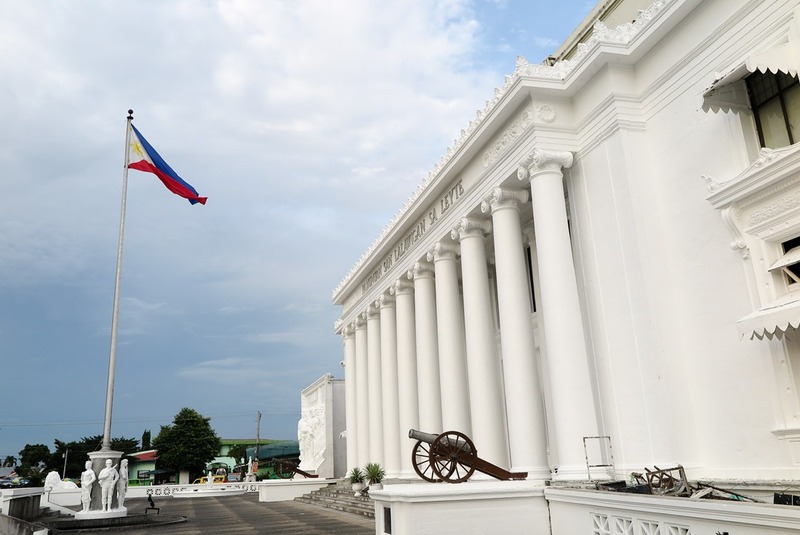 The Capitol building in Leyte, which served as an interim seat of Filipino government. 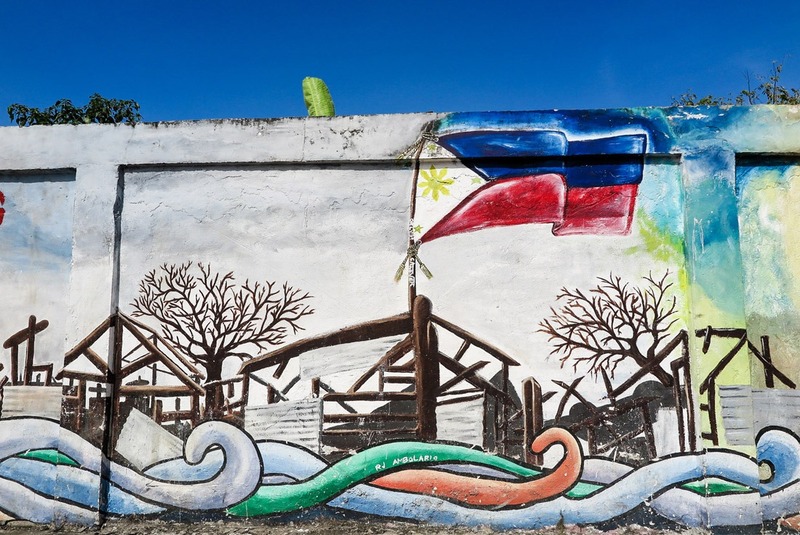 Along the Real Street, a several meter long mural was painted by a collection of artists remembering the tragedy the Haiyan typhoon caused. It’s very moving and deserves a visit. 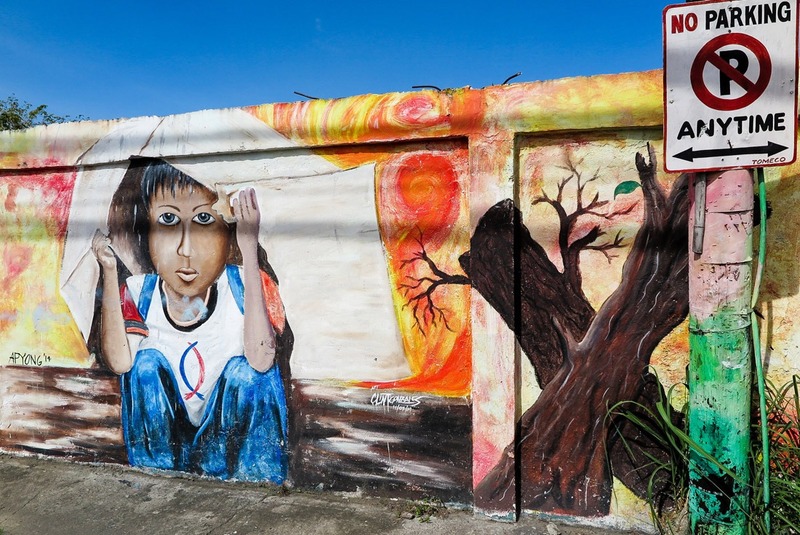 Part of the mural reminding of Haiyan storm in Tacloban. It helps to imagine what life was like for the survivors for the few months following the disaster. 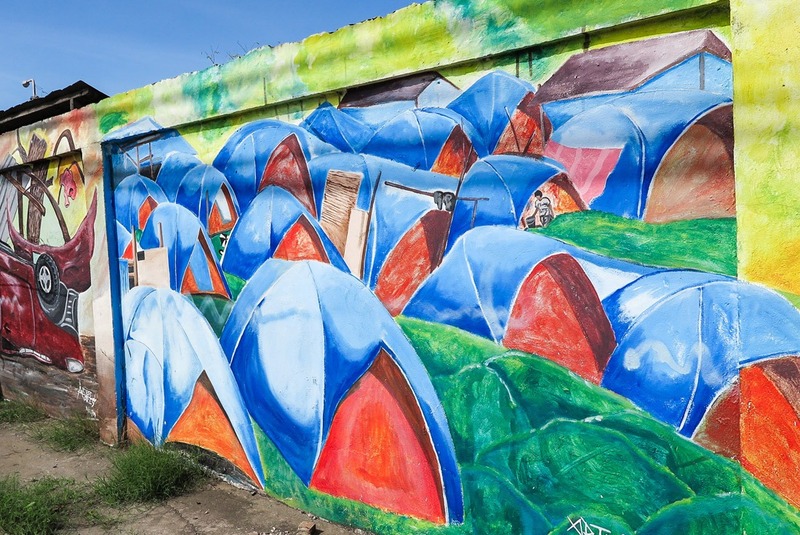 Street art that means more than art. 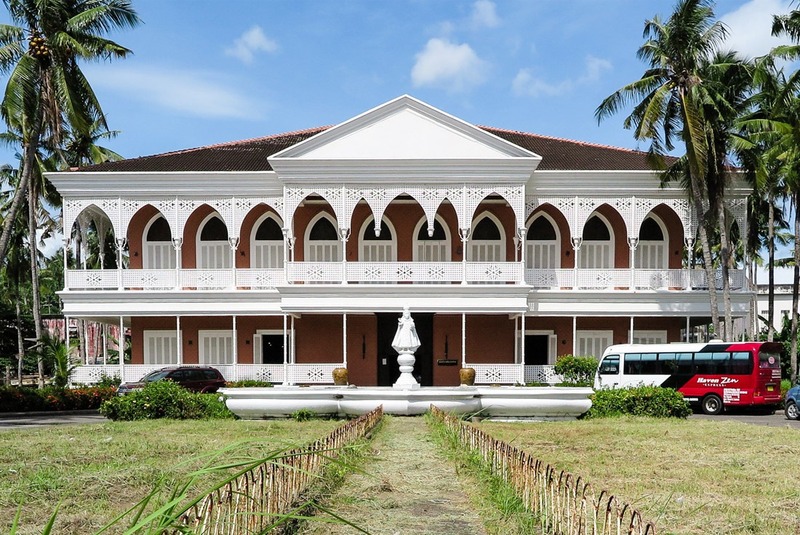 The amazing structure was one of many rest houses built in the 70s by the former Filipino president Ferdinand Marcos for his wife Imelda, a Tacloban native and a beauty queen who has been loved and adorned by many. 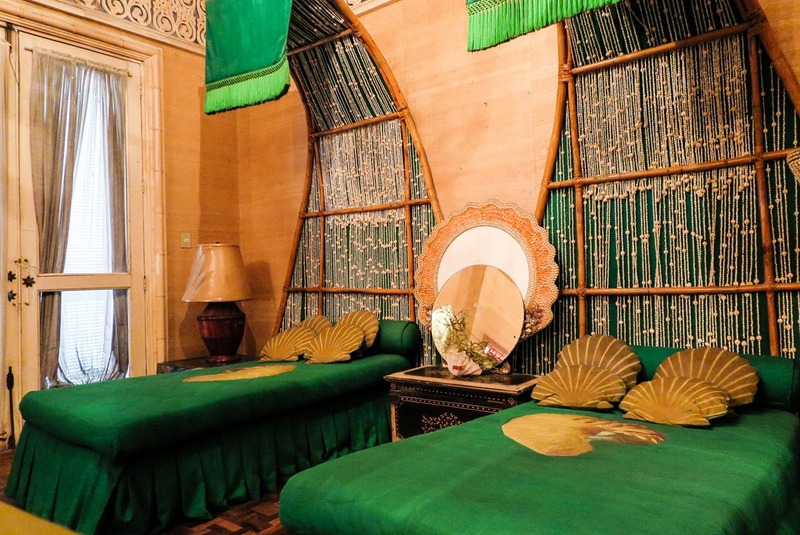 The house features a small shrine on the ground floor, as well as 13 guest rooms, each representing a different region of the Philippines. On the second floor are the family’s bedrooms and a huge ballroom. Paradoxically, the family has never slept there and it was seized from them only 5 years after its completion. The whole place is decorated with expensive items, imported furniture and intricate pieces of art from artists both local and foreign. Seeing the lavish splendor and trying to conceive of how much it all must have cost will make your jaw drop. Santo Niño Shrine. It’s much bigger than it looks! 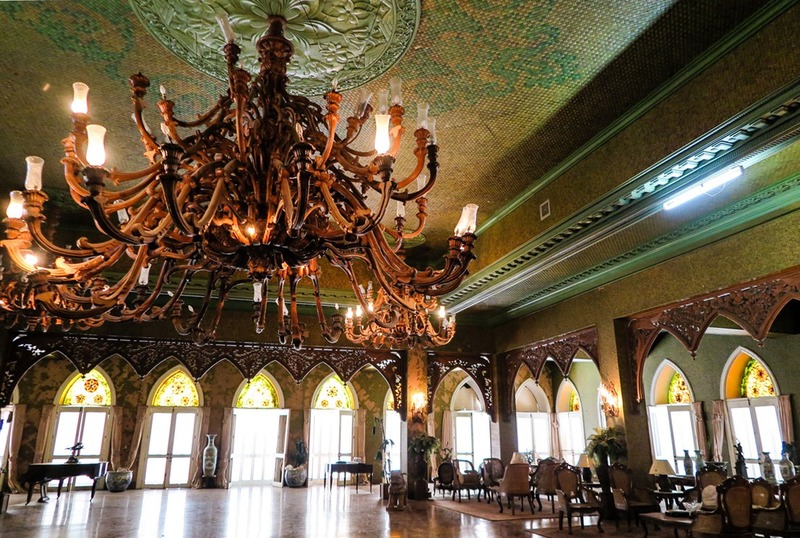 A large ballroom.. You wouldn’t want the chandelier to fall on you! 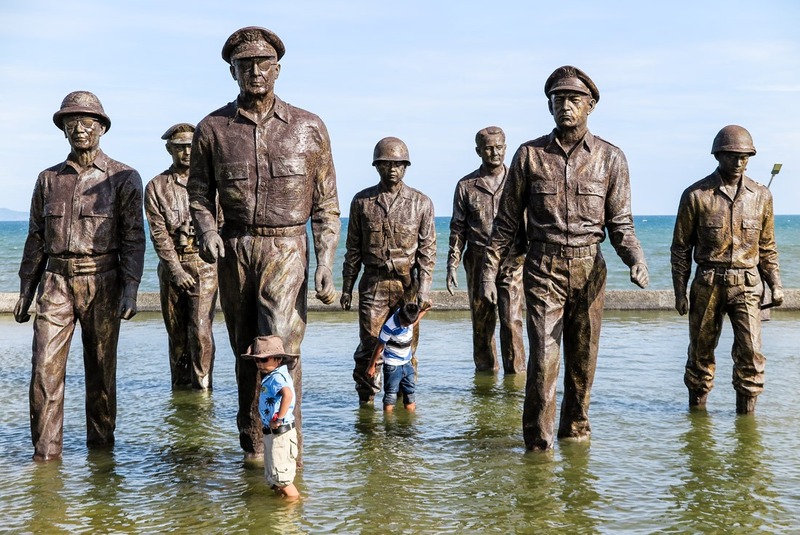 A major tribute to General MacArthur and the soldiers that freed Tacloban from the Japanese Army, this place is a must see. You’ll find larger than life size statues of soldiers, a number of friendship plaques from world leaders, including the late Václav Havel of the Czech Republic, who was the only one to deliver it in person. Gen. Douglas MacArthur, after having had a history in the Philippine Army, was at the onset of WW2 a commander of U.S. Army Forces in the Far East. Upon the first Japanese attack, he had to flee from the Philippines to Australia, where he famously stated: “I shall return”. And he did, in 1944. The story is quite fascinating, actually. If it caught your interest, read more on Wikipedia. The area serves as a nice park for locals to hang out. They usually come on the weekend to enjoy picnics. Normally it’s quite peaceful but we visited during the McArthur Landing Anniversary and it was packed! The park by the landing site is especially lovely! 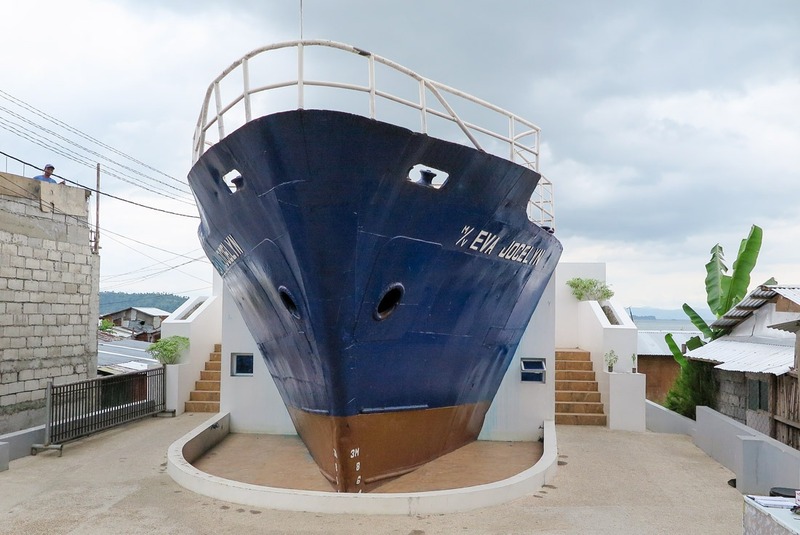 In case you’re in the Anibong district of Tacloban, I recommend paying a visit to the Jocelyn ship. This cargo ship carrying cement was washed ashore by 7-metre high waves produced by storm winds. The waves killed about 11 people after landing on their houses. At the same time, however, it served as a shelter for people whose houses were destroyed and worked to attract international attention. Nobody on the deck suffered any injury. 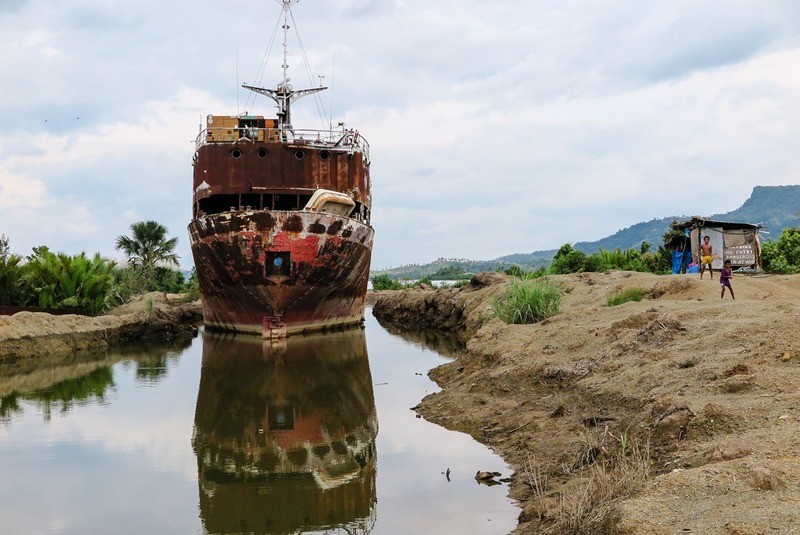 Only the front part of the ship was left in its spot, serving as a great reminder of Haiyan, as a viewing point over the neighborhood featuring simply built houses and to show the mind blowing distance from the sea the ship travelled ashore. There’s also another ship worth mentioning: Its name is Ligaya (meaning ‘Hope’). Ligaya got stuck in between fields and still remains there in its full size. 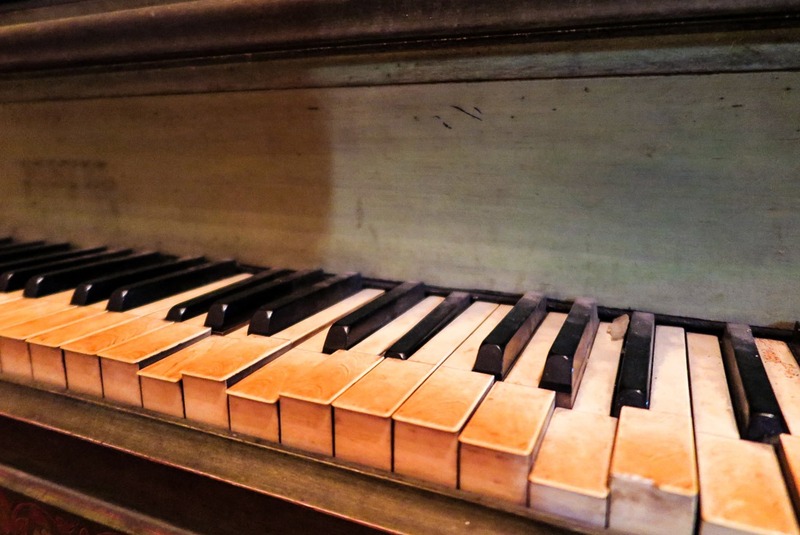 It’s not easy to find, so if you’re interested in seeing it, get a taxi to drive you there. In total, there were 10 vessels washed ashore by Haiyan in Tacloban only. Jocelyn Ship. Can you imagine this huge ship rampaging around? The sad view from Jocelyn ship.. The empty lots mean a family had no survivors. Ligaya Ship, stuck in between fields, and local poor kids playing around it. Managed by the global, Korea-based Christian organization of Kkottongnae Foundation, this is a place of rescue for people found on the street in poor condition and whose families were unable to take care of them. Even if you’re not religious, you should pay a visit to this home. If you bring a donation, whether it’s monetary or food and snacks, the local residents will be immensely happy and forever grateful. 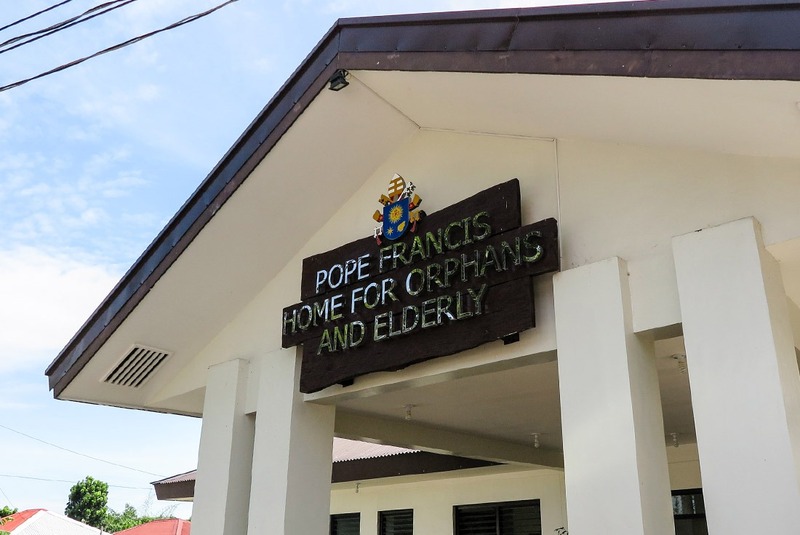 Kkottongane Center, where they take care of the ones in need, orphans and elderly. A beautiful singing performance by a Kkottognae Center resident. This lady is blind. XYZ hotel serves delicious breakfast, including eggs to your liking if you don’t need a Filipino breakfast in the morning. On the rooftop, you’ll find a sleek modern restaurant serving delicacies from all of Asia. There’s also a pool, so swimming with a view is guaranteed. Check the current prices of XYZ Hotel on Agoda. See the reviews of XYZ Hotel on TripAdvisor. 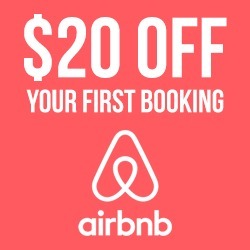 Or do you prefer Booking.com? 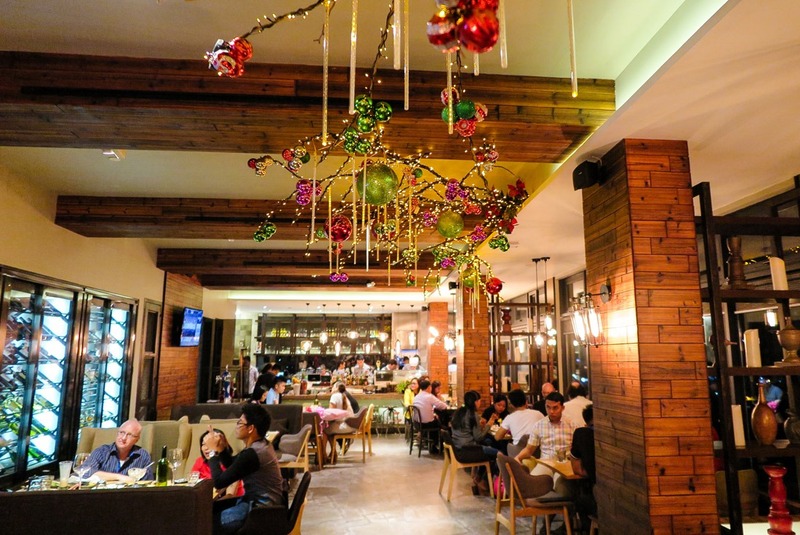 For delicious seafood and a fusion of Filipino and Chinese cuisine full of delicious green veggies, head to Ocho Grill (map below the post). I was over the moon when tasting some of the coconut milk based dishes! Famous for their seafood and ribs, this cool and modern, almost hipster-like restaurant located in a former warehouse will make you forget you’re on an island that was pretty much destroyed only a few years ago. It was established in 2014, a year after the catastrophe. 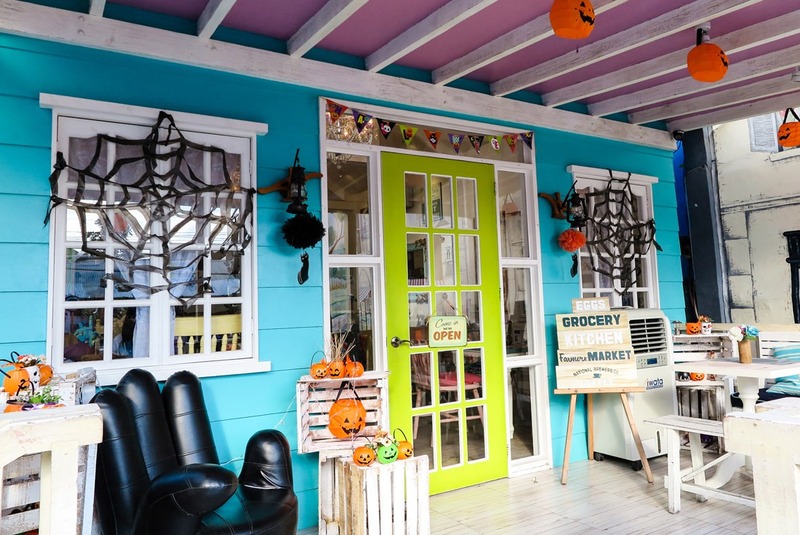 A super cute café, most likely inspired by France, serving large sundaes and coffee in all kinds of styles. I loved my cappuccino and the atmosphere is very special! Chew Love Restocafe in Tacloban. Doesn’t it look cute with all the Halloween decorations? And of course the street food! 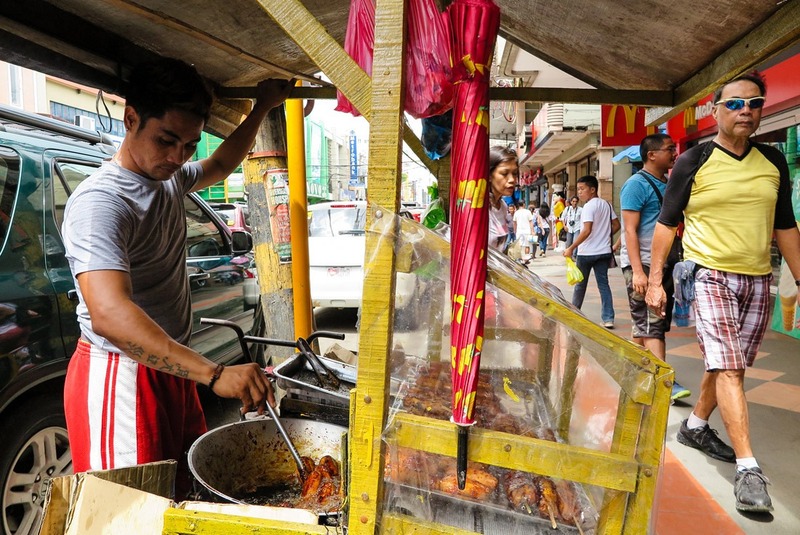 The main public market is located in Barangay (quarter) 38. Just get near Zamora Street and stroll in all directions. 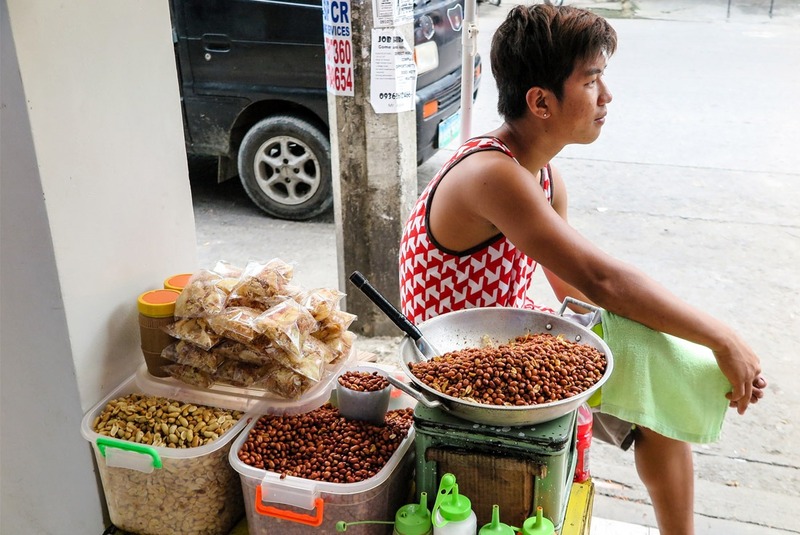 For amazing little local snacks and delicacies, head to the stand of Mrs. Cherry. She’s the go-to person for the typical Filipino Kakanin, i.e. a rice cake. Just head to Gomez Street, parallel to Zamora. 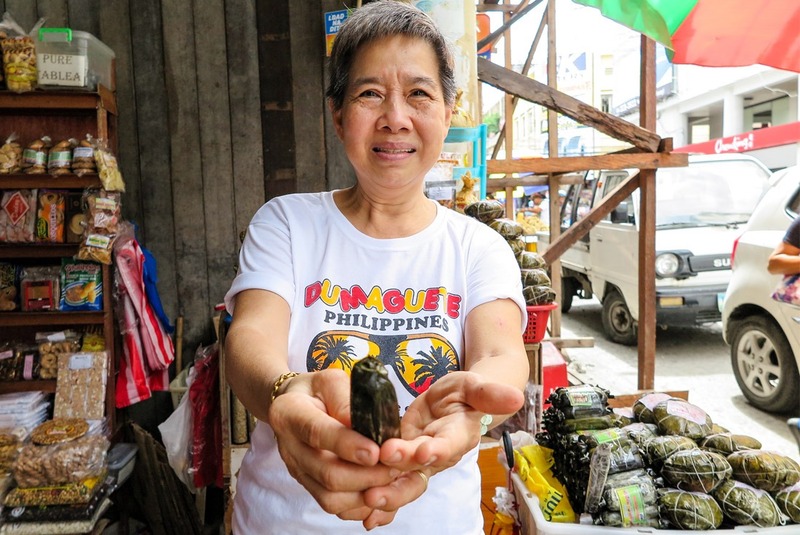 She currently operates a little corner in a walkway because her shop was destroyed, but will most likely move to a new shop within a few months. Mrs. Cherry and her homemade Kakanin sweets. Made of sweet rice dough, root veggies filling and coconut milk. 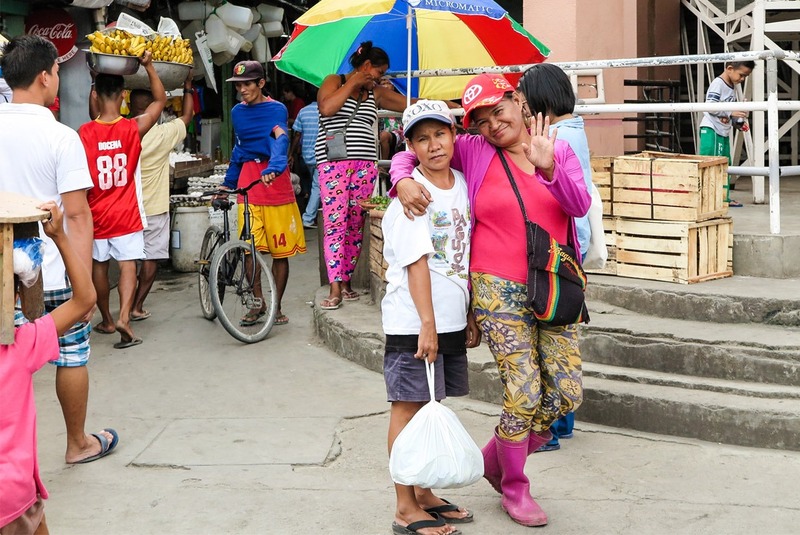 People here in Leyte are very friendly. 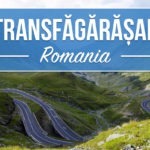 The lack of tourists certainly helps that. I wish it were so easy everywhere to take photos of locals! You can visit the amazing island of Leyte and take a few day trips out of Tacloban, just like I did. And if you’d like to learn more about the Philippines, see a list of these Filipino facts. 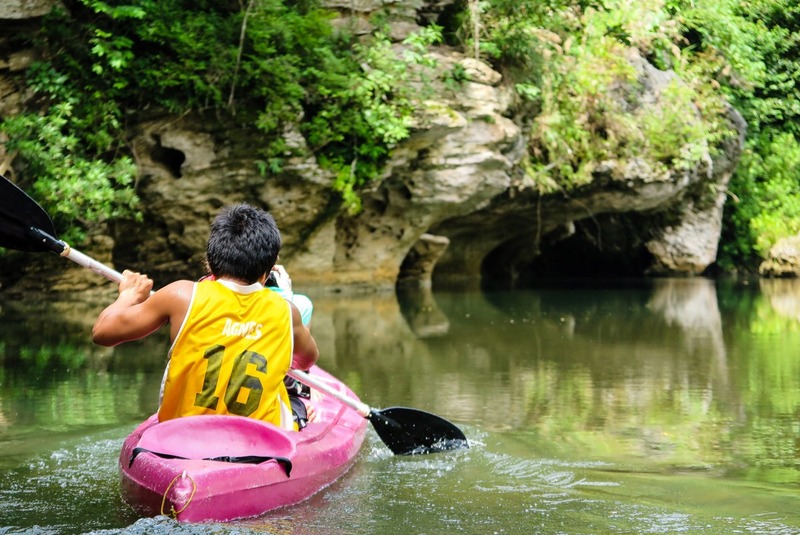 Paranas: There’s a river with white rapids in Paranas, making it ideal for adventure water sports like rafting. Paranas is in the West of Samar province. 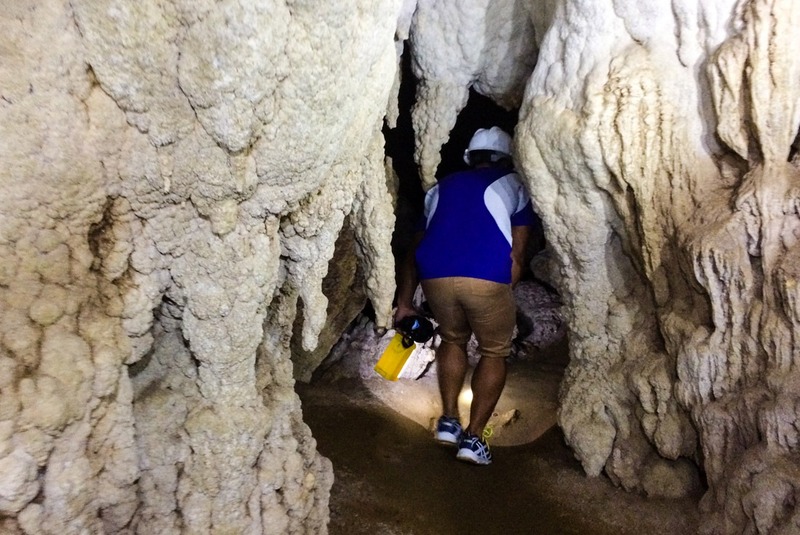 Basey: Sohoton Caves and Natural Bridge are this region’s highlight. We explored the area and loved it. More below! Marabut: Seaside with beautiful lagoons and rock formations in the Southwest of Samar, just below Basey municipality. The National Park lies so close to Leyte that it makes more sense to visit it from Tacloban rather than when exploring the whole Samar island. To visit the highlights of Sohoton National Park you only need a couple of hours. 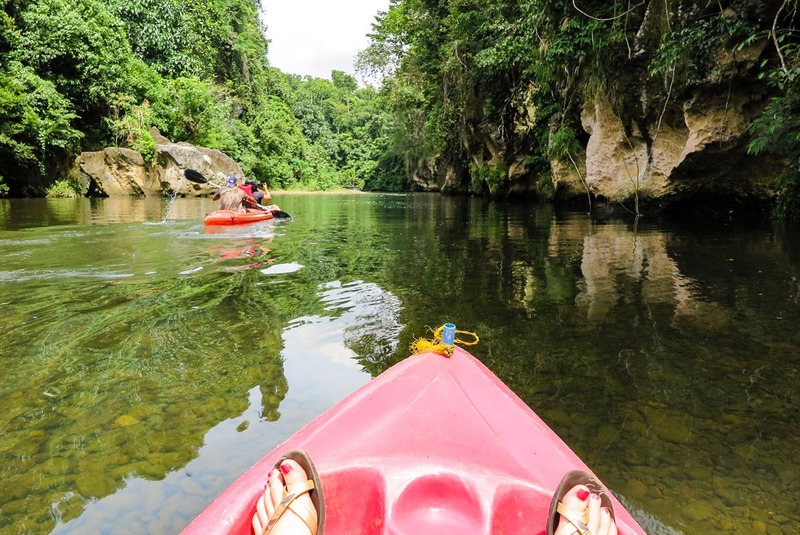 Arrange your adventure at a tourism office in Basey, then hop on a pump boat to take you to a spot where you’ll be kayaking from. 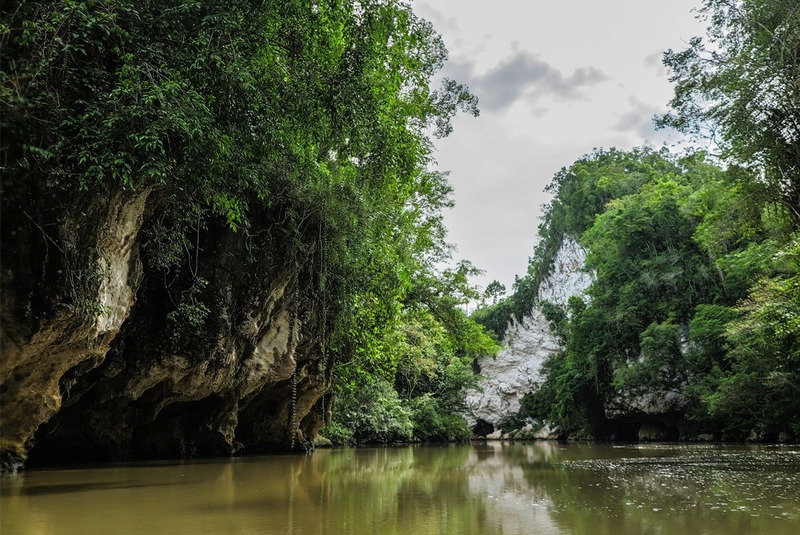 The Golden River, which is small and easy for kayaking, is lined with beautiful karst formations on both sides. You’ll feel like you’re in a tropical wonderland. Definitely one of the most gorgeous scenes for kayaking, don’t you agree? Floating away on a river that changes from brown to beautiful clear green. 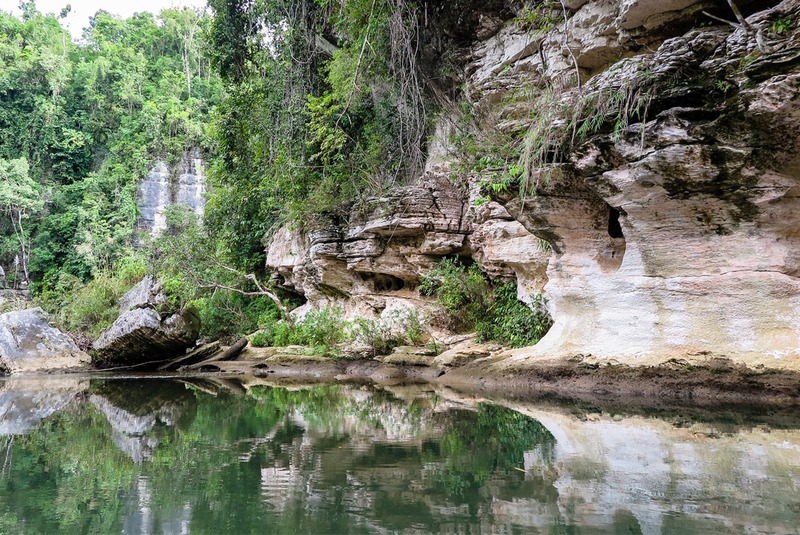 Sohoton National Park is known for its limestone formations. 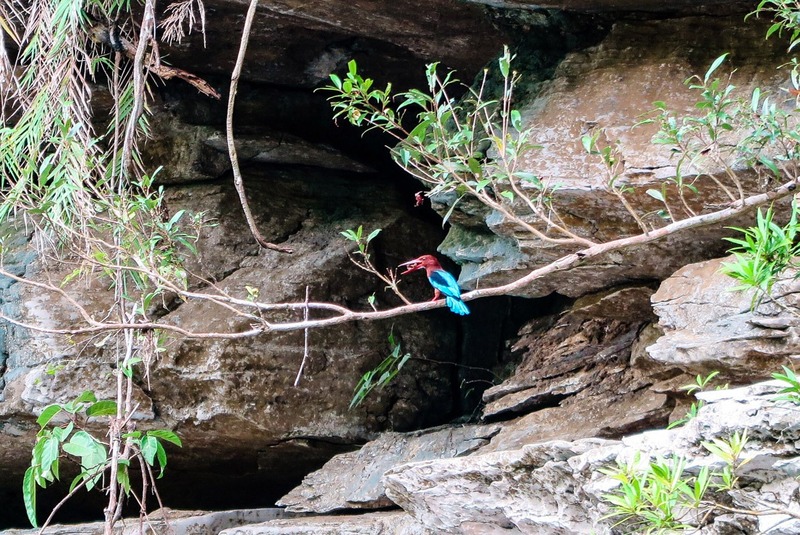 No idea what this bird’s called (Do you? Let me know!) but it’s surely a handsome one. The final part of the kayak ride lies under a natural bridge, which is an extremely unique occurrence. 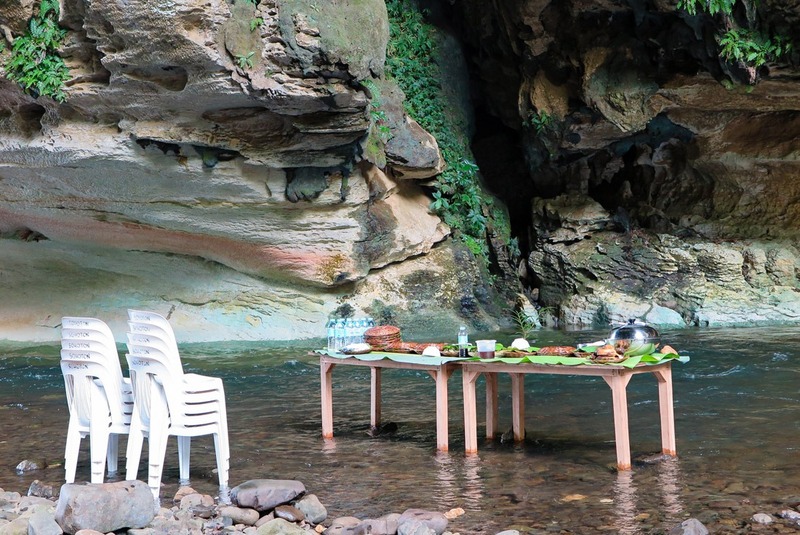 The top of the bridge is only reserved for trees and vegetation, but you can enjoy the shadow of the bridge and have a meal under it, as well as having a swim in the river. The Natural Bridge. See how tiny people look under it? 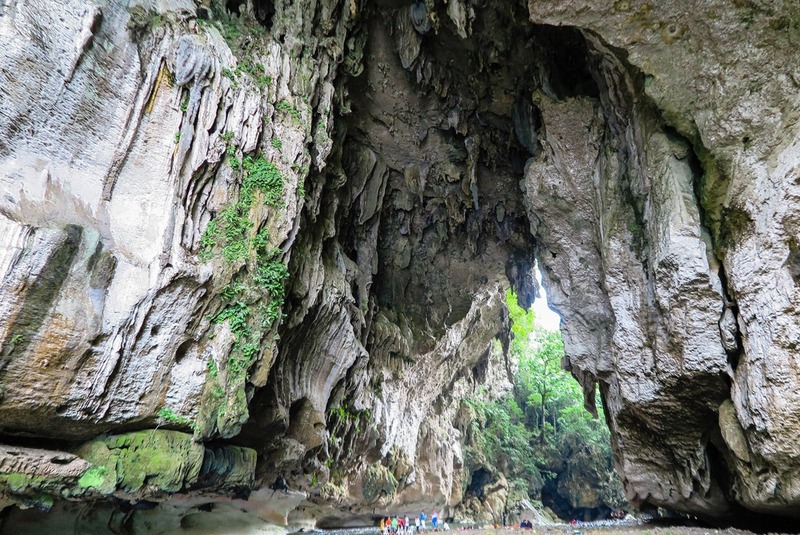 Sohoton National Park actually features one of the largest cave systems in the world. 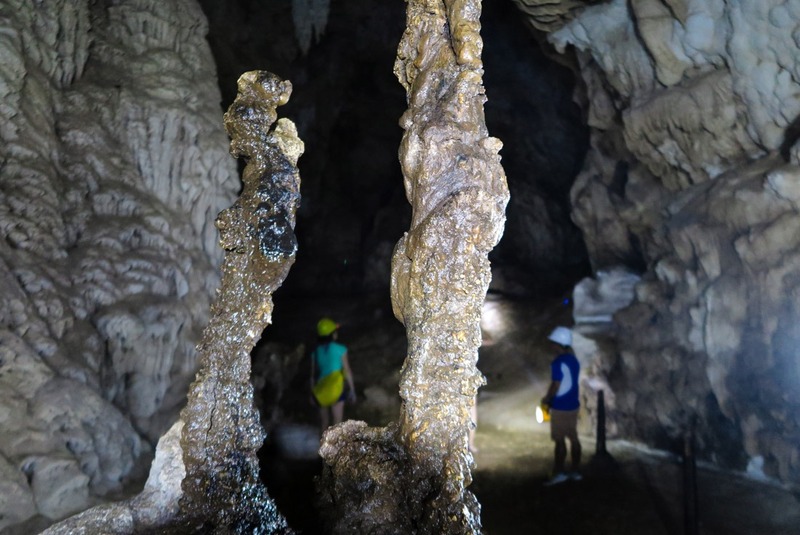 Panhulugan cave, the main one, is full of unexpected karst shapes, stalactites and stalagmites, large rooms, narrow tunnels and the omnipresent bats. Getting to the Sohoton National Park is relatively easy from Tacloban, but you’ll need to do it right. 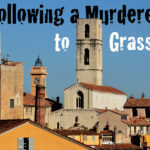 I searched for good guides online and found this one to be the best. There’s a lot more to explore in Samar, but we only saw the areas close to Leyte. Let me know if you go explore Samar’s North, I’d be curious to hear about it! The impressive Panhulugan Cave.. worth a visit! Some of the tunnels in the cave are rather tight! The longest bridge in the Philippines, connecting the islands of Leyte and Samar, was constructed in the 70s but has recently been reconstructed and looks like new. The bridge bears the shape of an L (for Leyte) and S (for Samar). It’s more than 2 kilometers long and is easily the longest bridge in the Philippines that spans a body of seawater. The construction even withstood the disastrous typhoon. It’s either an engineering masterpiece or perhaps one of these urban legends holds true… (don’t take my word for it!). 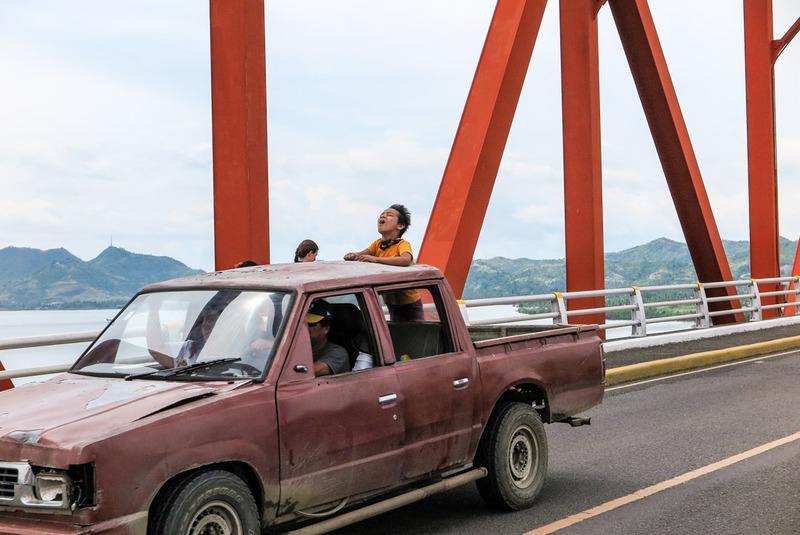 A local kid enjoying the ride on the San Juanico bridge. 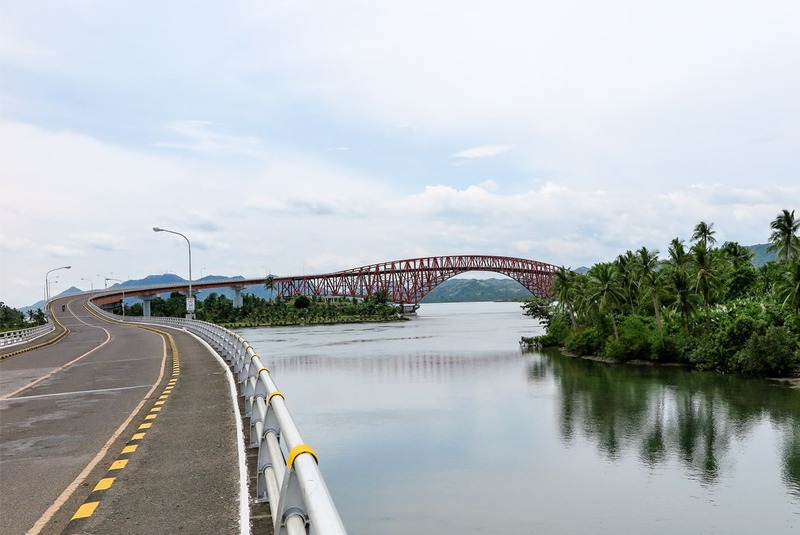 The S curve of the long San Juanico Bridge. I’ve struggled to describe the serenity of this beautiful islet in just a few paragraphs. That’s why I wrote a separate post on Kalanggaman. Check it out, drooling guaranteed! Tacloban has its own airport in San Jose and it takes only an hour to get there from Manila. Philippines Airlines, Cebu Pacific and even Air Asia all fly there. Some travellers choose to fly in from Cebu, which is an even shorter flight. To get into town from the airport, get a taxi or opt for a public jeepney going downtown. 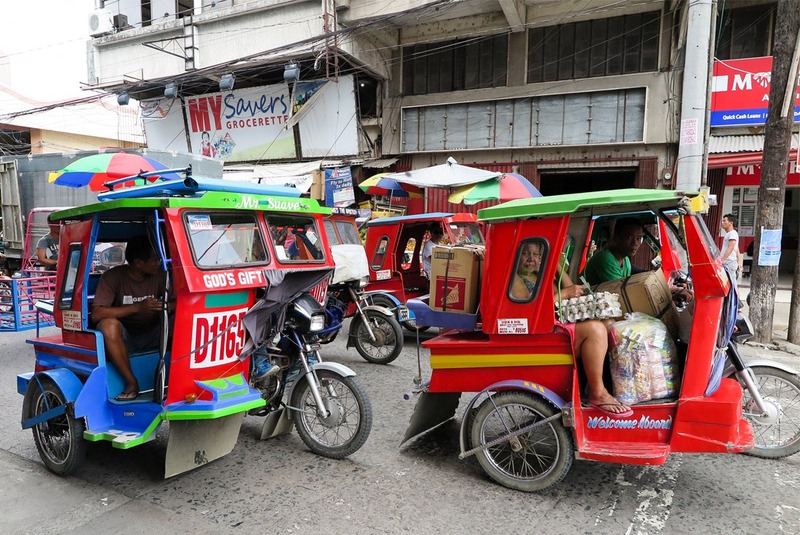 You can make use of tricycles, jeepneys or multicabs in Tacloban. You’ll probably come across the motorbikes that can seat more than two people: habal habal. But other modes of transportation are safer, in my opinion. 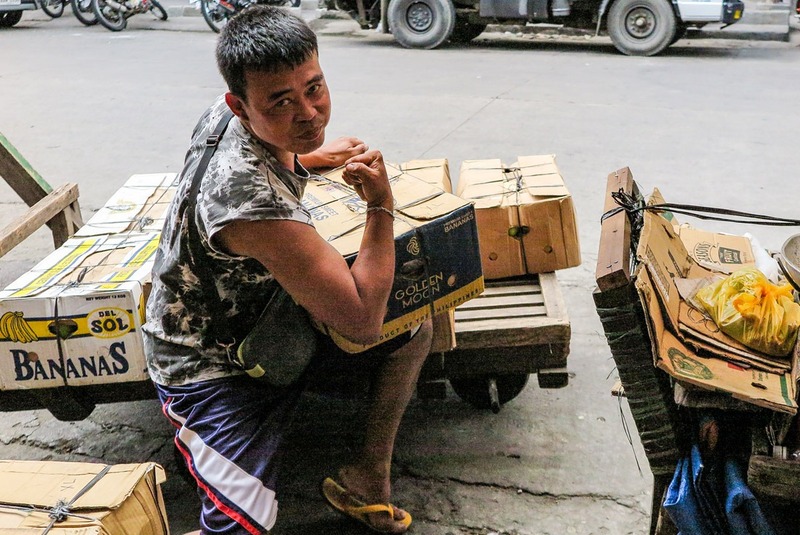 Tricycles are one of the most popular modes of transport in Tacloban. Jeepney is usually one of the cheapest and most authentic ways of transportation in the Philippines. 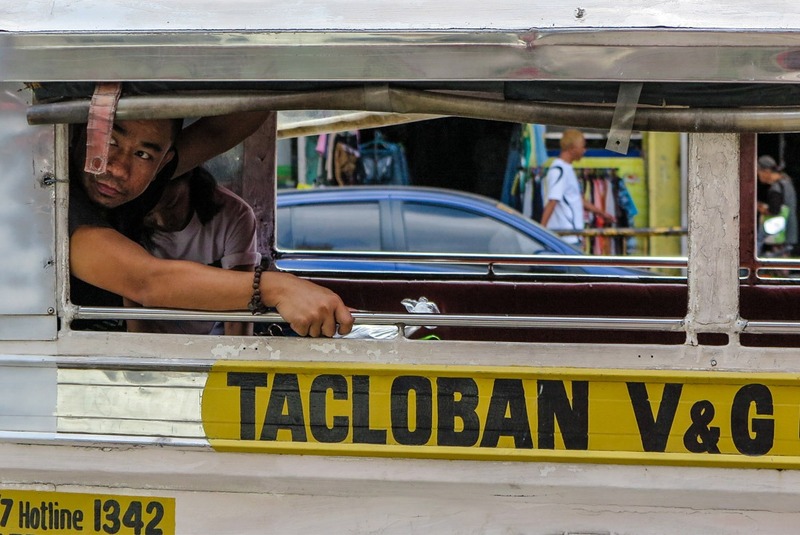 To travel outside of Tacloban, you’d need a bus or a minivan. There are various companies operating from their own terminals downtown. Ask at your hotel about those. Many companies pass through the Tacloban Bus Terminal near Robinsons Mall. Still haven’t learned enough about Leyte? 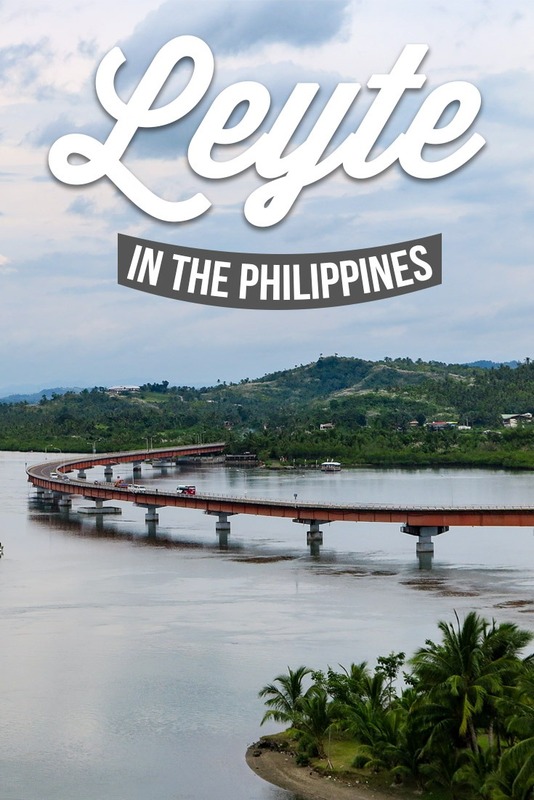 If not, just check out this resource on all things Leyte travel. The streets around the market are great for people watching. 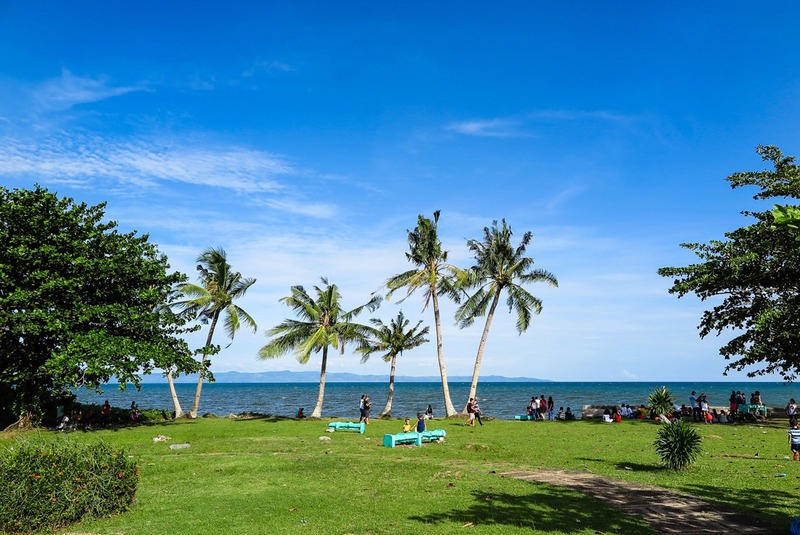 Leyte is not a typical tourist destination. That’s what makes it even more precious. If you care about the Philippines, if you want to explore a city beyond the perfect island beaches, you need to go to Leyte. Have you been to the Philippines? What places did you visit? 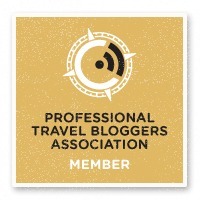 Disclosure: Veronika of TravelGeekery was hosted on the trip to Leyte by the local tourism board. All opinions are her own and unbiased. Its feel good to read your awesome posts. i would like to request you if you can also share your travel stories with us at Startbagpack.